Today we're continuing with online shopping for fall. (as well as in my jewellery box) this fall from their shop. Next shop I stopped by in my search for updating my fall wardrobe is Loveclothing. 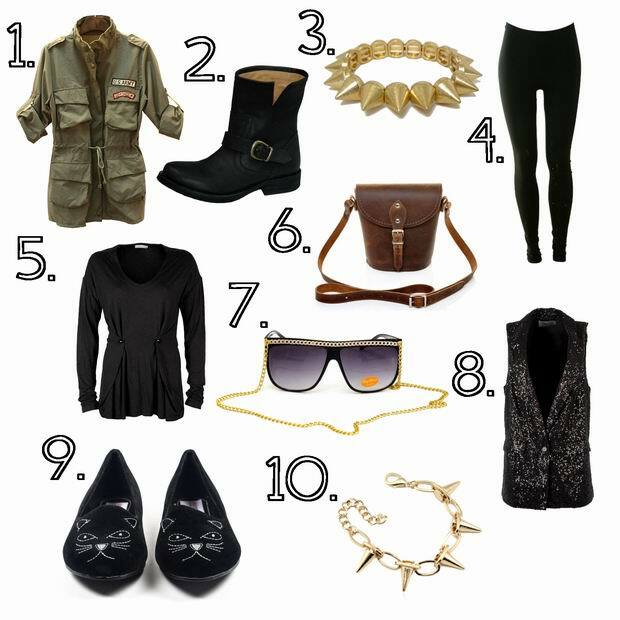 accessories and jewellery pieces. Check what I found there. Buylevard is an online shop that I discovered lately. It's an avenue of the latest trends. fashion designers. You'll find unique dresses, sweaters, jackets, bags and jewellery designs. Here are ten pieces that grabbed my attention while I was walking down the Buylevard. you need to bookmark and visit again and again. I really love their clothes and accessories. 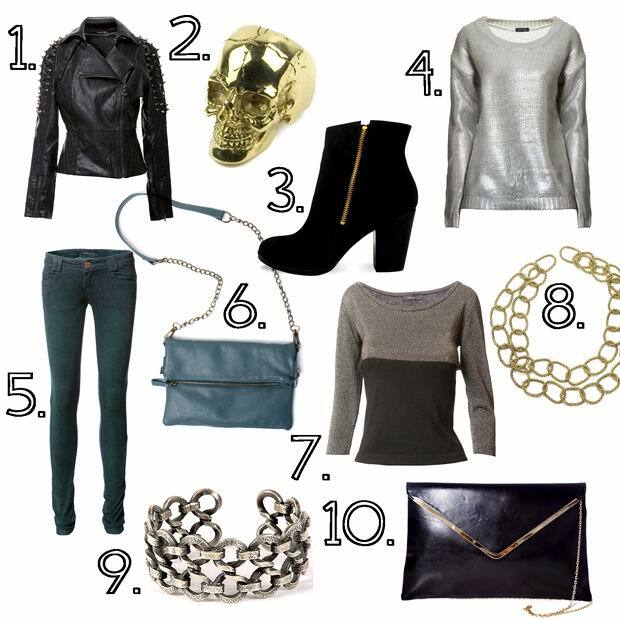 Here are some of their pieces that found place on my fall wishlist. fashion jewellery: necklaces, bracelets, rings, earrings and earcuffs which are super popular lately. Their jewellery comes in variety of styles so there's something for everyone's taste. 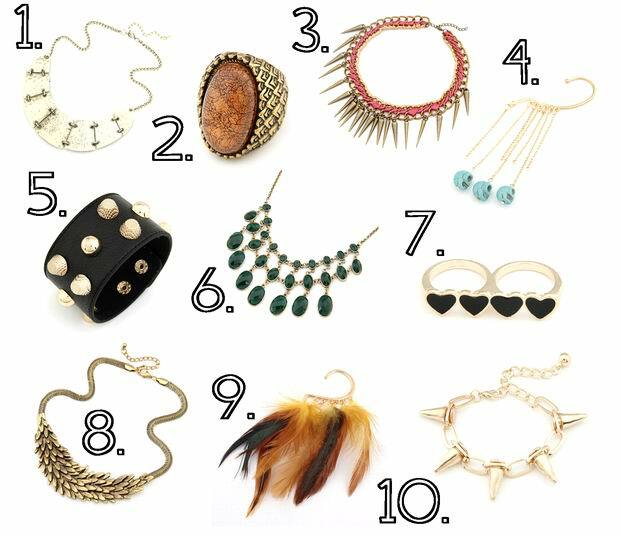 Here are ten pieces of jewellery for my taste :) What you think? 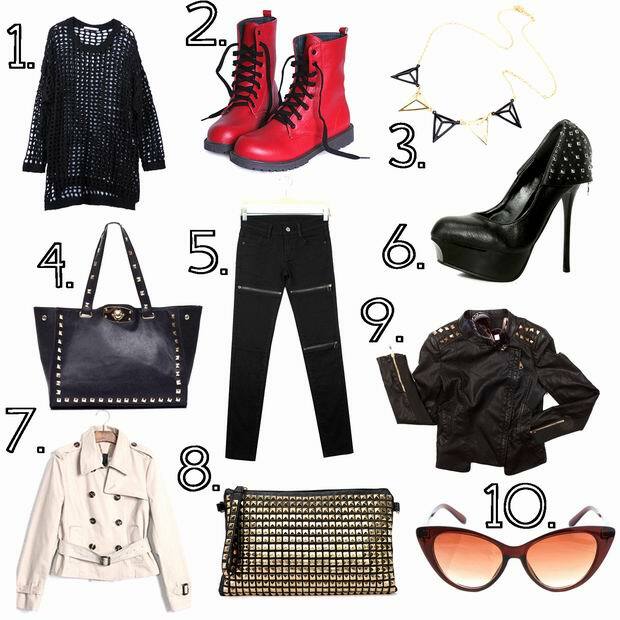 love specially the 2 spike bracelets, the studded loafers, the metalic sweater, the studded clutch & the brown stone ring, #muchlove! awesome picks <3 also, thanks so much for your comment! 1. i 4. set su najbolji! keep posting and go for ittt!! OMG that army parka in the first set is amazing! I love it!